If you are just beginning your website creation process, you should have already registered your domain name and found a web hosting company for your site. If not, visit the "Website Building Overview" page to learn more. If you are ambitious and want to learn how to make a static site from scratch, this is the tutorial for you. It's of the copy-paste variety too! A few simple HTML templates you can use for the foundation of your web site. An introduction to the basic HTML tags. Now that CSS is the standard for web design, tables are not used nearly as much as they used to be, but if you want to utilize them to create boxes on your site, here is a tutorial. View all the hex colors and their HTML values. A cool, Flash-based color wheel that will generate a color scheme for your website. Learn CSS with this 4-part video series. This is a great tutorial for people who want a quick overview of how CSS works without getting too technical. 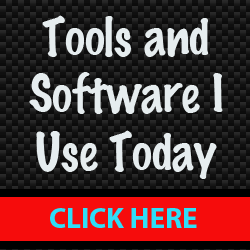 An instructional video that shows you how to use FileZilla, a free FTP program. It used to be that you had to learn HTML or buy software if you wanted to make a website, but nowadays that is no longer needed. If you create your website using WordPress, you won't have to learn anything about HTML, CSS or FTP. However, having a basic background of HTML and CSS will definitely help you when it comes to customizing your theme. No, it's not necessary to learn a lot about programming, but the more you learn, the more control you'll have over your site. Even though WordPress is easy to setup and comes with pre-made themes you can select, I get a lot of questions about customizing -- for example How do I add AdSense to my header?, etc. 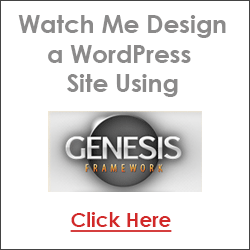 You can watch me customize a WordPress theme here.